Robert Walker-Smith is a tall and handsome young man, just turned 20. Predominantly, he communicates through his facial expressions, actions and art-work. 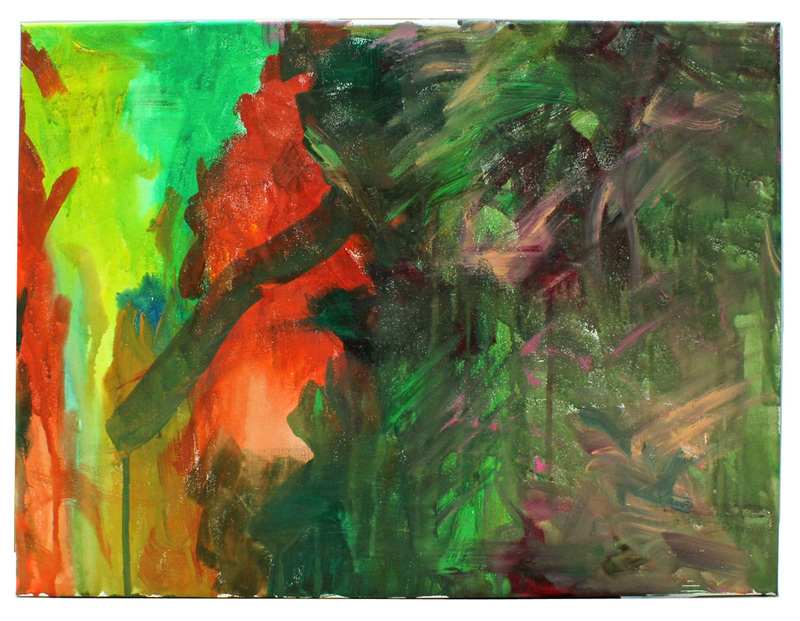 Here is presented one of his paintings that he did on site in The Hong Kong Park. It was a cool and sunny afternoon. Robert found a comfortable spot where he was seated in front of a waterfall that washes over granite stones and bushes in the surroundings. 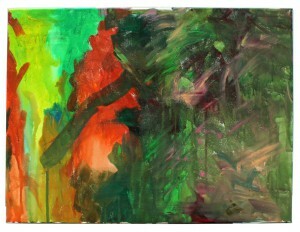 He began by using a dark green acrylic paint on the right side of the canvas. His finished art piece introduces the viewer to his Park wherein one began strolling along thick green hedges. The scenery moved on as one got further inwards, to come to the horizon in the far end of the Park. The asymmetrical composition of the painting adds to the space, depth and movement of the Park, thus the message of the painting. The use of colour from a heavy to light tone and the use of more layers in the forefront add to the voice of the message as well. ‘Inner Journey’ is the name I gave to this painting. This is a Park that takes us into the inner journey of our road to spiritual maturity. We live in a world where we struggle to climb up the ladder of success. We are often confused as to who we really are. Whereas, hidden in the deep recesses of our hearts, we ‘see and hear’ the Light calling us. The calling tests us with fire and moulds us so that we are free to be led in life. When we are willing to be led, we become the true person we are called to be. We arrive at the far end of the Park where the Light is. The Rock Foundation was founded five years ago in Hong Kong, under the inspiration of Father Henri Nouwen’s writings and the L’Arche communities. As our community of people try to live out the spirit of harmony, hope and mutuality, we realize that we are more alike than we are different. ‘Inner Journey’ speaks this same message: we all are spiritually one in God, we all are the same in our inner walk, and we all are journeying together into the Light. Hazel Delfina Chang is the founder and director of The Rock Foundation, a seed community of L’Arche in Hong Kong. You are invited to come and visit us in Hong Kong. Our core members, of which Robert is one, never cease to inspire and transform me. It is my joy to share ‘Inner Journey’ and its message with you.